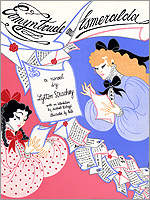 I’ve been writing musical theatre - book, music and lyrics - since 1977 when I first dramatised Ermyntrude and Esmeralda, a novella by Lytton Strachey, that I’d enjoyed for some while. 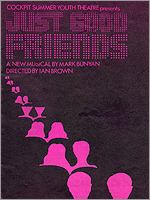 In 1982 I wrote my first completely original piece, Just Good Friends, and the three pieces that followed that were all to original plot lines. In the late 1980s I became somewhat disillusioned with the direction that musical theatre was taking - I prefer book musicals to sung-through pieces - and stopped for a number of years. Eventually the last of my four original-plotted musicals screamed out to be written and I worked on it for some years. Since joining Mercury Musical Developments (or what was, in 1999, the Mercury Workshop) I’ve worked on musicals that have dramatised already existing stories, a myth, some fairy tales and various biographical pieces about real people.